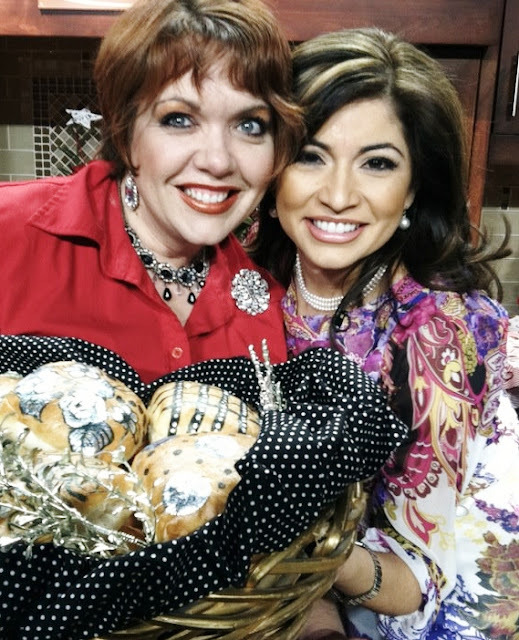 Today at 5:45 AM I was on NBC 12 Phoenix with one of my all time favorite people, Syleste Rodrigez talking about some amazing and outstanding holiday buffet table ideas. First we'll be talking about some amazing tamales! I have a full tutorial on how to make Homemade Tamales here on the blog. I'll be making some cheddar bacon tamales enchilada style with green sauce and jalapeno cilantro sour cream. How do I build them in glass cookie jars though? I'll post the full tutorial for the gingerbread house centerpieces soon. It’s amazing to go through your blog!! Found your buffet in budget. Best thing that I loved is the gingerbread house in jar bars. Want to try them for my holiday party at one of accepted Venues in San Francisco. Thanks for these brilliant ideas.